There, he was at it again.”When do you ever leave that phone alone?” I questioned my son who was at an age where I could reprimand him for not behaving old enough for his age, at the same time treat him like a baby as per the nature of the situation. He replied without looking up, “When I go to school. That’s when my dear phone gets it breathing space,” he quipped smugly, quite pleased with the smart answer he could come up with. “Sure, but first tell me when do you leave your phone alone?” he demanded. I looked at him straight in his eyes, “I only check it when it beeps. It could be work-related, you see.” I replied, trying to sound as matter-of-factly as I could. “So what make you think I am not doing work on phone? I could be discussing my project with my teacher over WhatsApp,” he shrugged. “Don’t give me that, child; catching Pokémon doesn’t count as a project!” I retorted. He walked away giving up on me, banging the door to his room after him. I sighed. Kids these days…their childhood is just not the same as ours used to be. They are prisoners to their virtual life. Gone were the innocent and fancy free days of playing in the open, the heady rush of sweating it out on a healthy outdoor game with friends and wondrously catching butterflies in the backyard. The catching butterflies reminded me of something. Trying to push my thoughts aside I reached out for my phone. “Freak…that’s Squirtle!” My eyes glinted with excitement as I spotted this virtual blue turtle character from the Pokémon series perched right there on my sofa, in augmented reality. I promptly aimed a Pokéball to catch him. He dodged the ball, teasing me into action. So busy was I in the act that I barely realised that my son was standing behind me studying me with a mocking expression. “Yeah, right!” he smirked sarcastically, with a raised eyebrow. So well, I was caught red-handed. This was worse than being confronted by my mum when she caught me stealing chocolates from the refrigerator in the middle of the night back in my childhood. Embarrassed to the core, I have to sheepishly admit that he had rested my case. This post was written for BAR-A-THON. Day #4, Prompt – Caught red-handed. 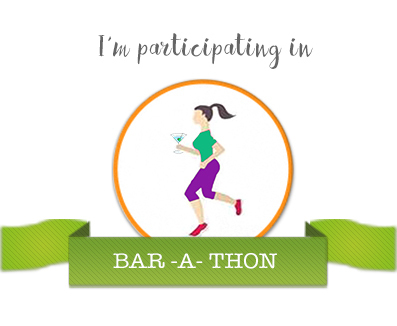 I am with Team #CrimsonRush for the #BarAThon Challenge from 1st to 7th August 2016. Actually, you do not realize when you fall into the same trap! Oh..i get similar smug replies. Though I am not into playing games on the cellphone, I do have a niggling habit of looking at it every now and then. Lol! This felt like a chapter from my life Vinodini! I love Pokemongo! Also get hooked to cartoons, all the while yelling at my kids to get a move on from the couch and when they're gone, I take their place! Enjoyed this! Hahaha… we're sailing in the same boat, Kala. Pokemon go is addictive! haha…we adults need to stop the phone obsession first.But it is so hard to let go no! Yes, Naba. It's easier said than done but has to have an end soon. Ha ha ha.. that's a good one. On a serious note, the kids are picking up the addiction from us. Unfortunate as it is, we aren't really setting a good example. Thanks, Tulika. I agree, it's a learnt behavior. We really need to practice what we preach. Oh yeah, he will. And, he's gonna keep rubbing it in for a long time! LOL 😀 Sometimes, it is tough to practice what you preach!! Haha Vinodini, I can so very relate. I've been through such episodes with my girl. Good to know that I'm not alone in this! Hehehe. So you enjoy Pokemon eh? What fun it is to be caught by our kids! Well, my son introduced me to Pokémon go. Getting caught was blah…not fun…hehehe! Lol!!! Kids are really smart these days and they have an answer and a statement to counter what was blamed on them! Yes, they sure are a smarter lot. My son has been walking in the air, ever since! One embarrassing moment that would have been!!! kids are so smart these days! we wouldn't dream of talking like that to our parents! but my kids are also more bindass..totally like this! cute one! You bet! The kids nowadays are such a bright lot. You cannot win them over! Thanks, Vishal! This whole smartphone thing has changed our lifestyle and relationships forever. Hehehe…thank your stars for not being bitten by this bug, Shy!